A little over eighteen months ago, the York Environment Forum held an open meeting on behalf of the Leeds University research project ‘Living with History’, with the object of finding out what local people thought about the future use of Terry’s Clock tower, as an alternative to its conversion to residential use as was being proposed. Our Open Forum came up with a number of alternative suggestions for the Grade II Listed Building which were incorporated into a report which was sent to anyone who left a contact address, as well as to the City Council and to the developers. It is proposed to achieve this by the insertion of additional floors into the tower itself, and by extending the two attached buildings upwards by adding extra floors. Provision of adequate light to the new flats in the Tower will require the enlargement of some of the existing windows, as well as the renewal of their glazing. Doing all this will change the character and appearance of the buildings by enlarging them and levelling and raising their stepped profile. There is in fact some discrepancy in the number of flats proposed as contained in two of the supporting documents to the Planning Application, in which the number of flats proposed in one is 21, and in the other, 22. No information is included in the application about how the famous Terry’s clock will be restored. This has been identified by The Antiquarian Horological Society as of national importance, being one of only two of its kind in the UK still working when the factory closed. It was also identified in the Development Brief for the site as “the most visually recognisable feature …” as well as one of the “landmarks and symbols for York” on the factory site. It is of course a long time since the clock worked, and it is somehow apposite that the function and purpose of the Tower is being denied while the symbol of that purpose is being disregarded. 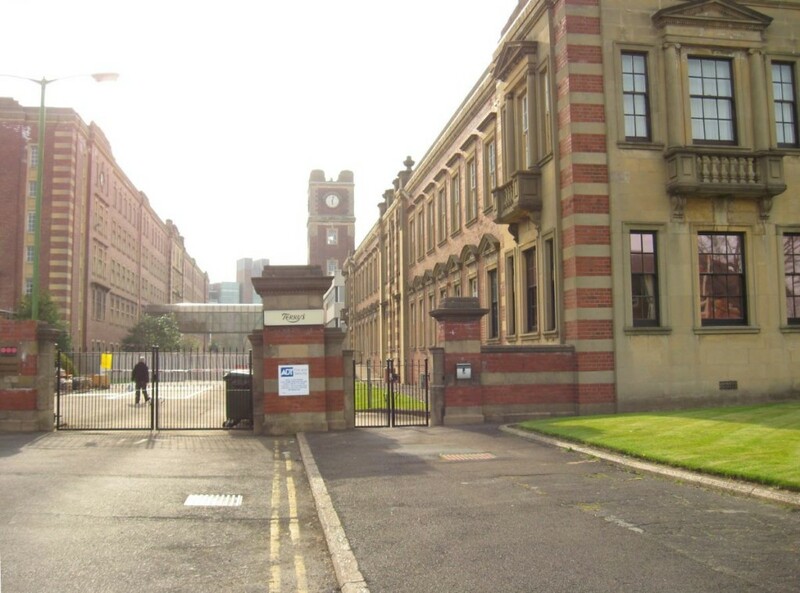 One of the justifications for creating flats in the buildings put forward with the application is that the proposals for the conversion of the Clock Tower/ Boiler House building will provide much needed new housing for York. This is obviously a fact, but the question has to be asked about who is likely to buy a Clock Tower flat, which is likely to be small, possibly in a gated building, and hardly suitable for family living. Nor will any of them be ‘affordable’ housing as the developers have indicated they are not required to provide any ‘affordable’ housing on the Terry’s site. So these 21 or 22 flats are not likely to make much of an impact on the City’s acute housing needs. It is hoped that a Community Forum will be held specifically to consider this application which has altered from any of the schemes for the Clock Tower previously publicised. This is a little questionable however, as the developers have claimed that they do not need an additional community event in the light of previous consultations. Much of the evidence of ‘community involvement’ submitted with this application relates to earlier events which did not include consideration of this specific scheme. It is nevertheless hoped that the Council will require another consultation to be held. They have been asked to arrange this in conjunction with the developers but so far with no response. It is of course the holiday period now when many people are distracted by other things. 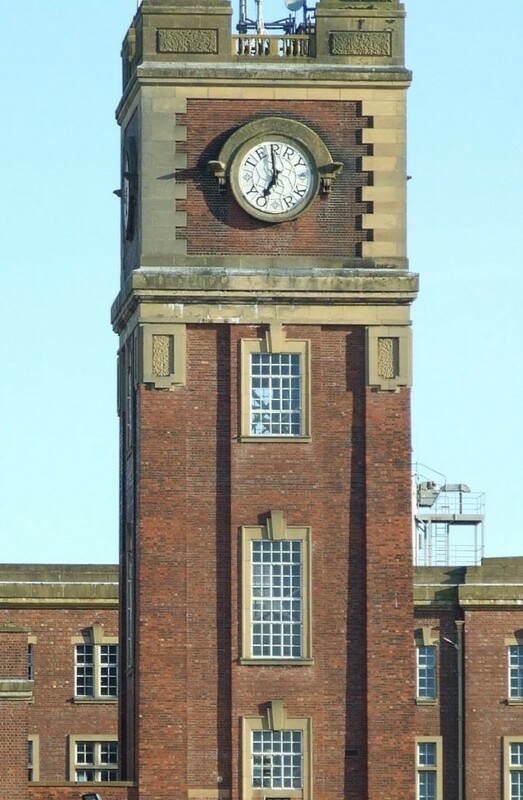 But anyone who has concerns about the future of the clock tower is urged to go online and register their concerns; and to keep a watch for notification of a public meeting at some future date yet to be decided, at which this scheme will be thoroughly aired to the local community. Alison Sinclair worked for English Heritage for ten years. 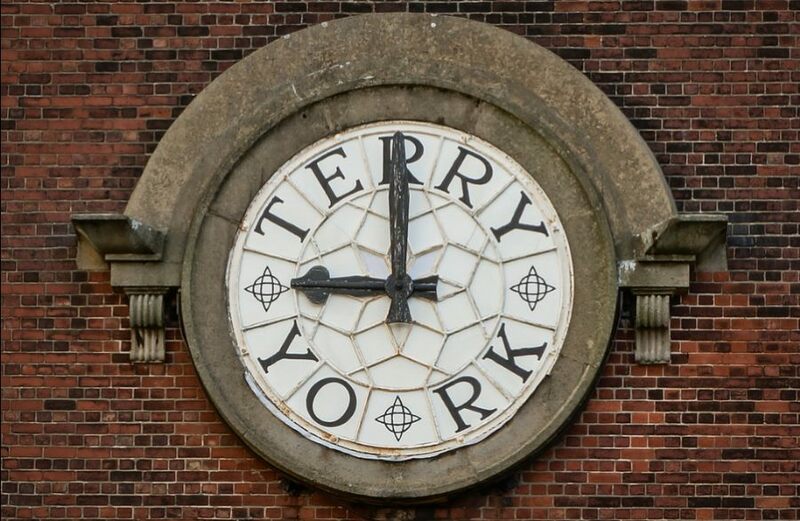 Her last contract before retirement was the revision of the Statutory List of Buildings of Architectural and Historic interest for York, during which she was responsible for the designation of Terry’s Clock Tower as a Listed Building. She has been a member of the York Conservation Areas Advisory Panel since 1990, and was the founder and first Chair of the York Open Planning Forum. The Terry’s factory buildings have featured on York Stories several times over the years. See ‘related pages’, below.